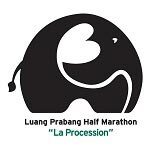 A half-marathon in the UNESCO World Heritage destination of Luang Prabang will take runners on a route inspired by the daily procession of monks who walk through the town at dawn to collect offerings. Limited to 500 international runners to reduce congestion, the race on October 5 is titled “La Procession”. It will offer participants the opportunity to run around the town’s greatest historical sites. The costs of the event are fully covered by corporate sponsors and, instead of the usual entry fee; runners will make charitable donations directly through online fundraising pages.